Protective styles have been a significant reason I’ve maintained the length and health of my natural hair over the past five years. Protective styles ensure that our strands are protected from mechanical damage brought on by excessive heat, manipulation, and combing. My protective style of choice has always been two-strand twists. I literally do nothing else with my hair - no braids, crochet braids, weaves, or cornrows. This is because I find that like sisterlocks, my two-strand twists are easy to maintain and style. Occasionally, I'll wear wigs, but that's it. Now of course, my choice of style does not always suit everyone else. However, based on my experience so far, these are my top three tips for caring for your hair while protective styling. I use braids, weaves, and crotchet braids as my examples as these are some of the most common styles within the natural hair community. These tips, however, are applicable across a vast array of protective styles. Undeniably, the creativity within the natural hair community is outstanding. When I first went natural, I wanted to try out all the styles that I saw on every forum. I realized, though, that my hair did not like all the manipulation and it would easily knot and tangle. Over time I learnt to simply “double tap” when I see gorgeous hairstyles on Instagram, whilst keeping my own styling simple. 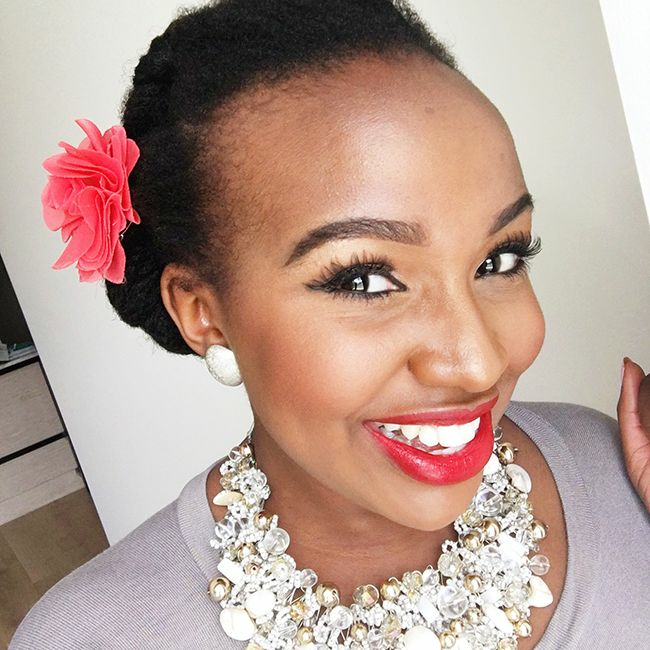 I throw in an updo every so often, but when I'm not trying out the latest bendy rollers or faux buns, I'm living vicariously through other naturalistas! If you can, install your protective styles yourself. There are plenty of informative YouTube videos that offer step-by-step guides to installing protective styles. If you’re not too keen on DIY hairstyles, ensure you treat your hair like silk and only put it in the best hands, particularly in those of a trusted hairstylist who values your natural hair as much as you do. Avoid too much tension on your edges and on your strands themselves. Protective styles are not meant to last a lifetime! While you may be unable to smother your braids in a homemade avocado hair mask, you should be able to maintain the very basics of your regimen like moisturizing. For example, if you have braids, wash them weekly with conditioner and every two weeks with shampoo. Then dab a little olive oil along the length of your hair in the braid. Do you enjoy protective styling? If so, what are your top tips for keeping your hair nurtured so as to get the most out of your protective style?